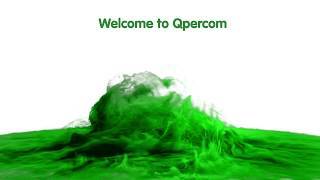 This video provides a demonstration of the award winning clinical assessment solution, Qpercom Observe. Observe is a management information system which can be used to set up and run clinical assessments such as OSCEs. Set up station forms, add student lists, perform OSCEs and review results in real-time. Perform comprehensive psychometric analyses on exam data in real-time or post exam. Finally, you can deliver feedback directly to students from the system. Observe was awarded Best Use of Summative Assessment from the e-Assessment Association in 2019. 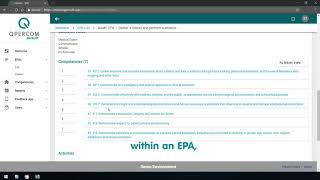 Qpercom Entrust is a digital Entrustable Professional Activity (EPA) assessment solution. Entrust is a competency measurement management system, which facilitates two-way feedback recording and delivery via a dedicated mobile app. Please get in touch with us if you would like a demonstration of Entrust. Reduces administration costs compared to paper based solutions by 70%. Increases accuracy by eliminating human errors and provides instant student feedback. Advanced psychometric analysis for pre and post exam standard setting. Digital scoring solution, captures data in real time and allows for online reporting and analysis. We provide advanced assessment solutions and expertise to institutions worldwide. Qpercom spun-out from the College of Medicine, Nursing and Health Sciences at the National University of Ireland, Galway in 2008. Over the past nine years we have become a global leader in OSCE software, providing bespoke assessment solutions to universities including Dundee University, Karolinska Institute and the National University of Singapore. Our OSCE management information system, Observe, caters for clinical assessments, allowing for psychometric analysis, Excel output of all data, Borderline Regression Analysis (pre and post assessment standard setting) and support for Generalizability Analysis. Developed by medical educators, for medical educators, this web-application allows Schools of Medicine and Healthcare Sciences to plan and perform OSCEs, as well as conduct detailed instant analysis on results while the OSCE is ongoing. Our portfolio of software and analysis features are Qpercom Observe for OSCEs, Qpercom Recruit for admission interviews or MMIs, Qpercom Entrust supports EPAs (CBE) and Qpercom Choice delivers MCQ and EMQ solutions. In-house assessment research and expertise drives the growth of our product features and functionalities. We look forward to serving your assessment needs. The University of St Andrews (School of Medicine) purchased the OMIS system in November 2012 and have used it during our formative OSCE for the first year medical students in December 2012. 140 students took part in 4 stations in 5 venues. Staff found the software easy to use in order to setup and prepare the exam questions. We used a variety of devices to mark the students’ performances and the examiners found the software easy to navigate. We really valued the ability to get instant results which were easy to process. In addition there is an excellent student feedback tool. Qpercom has delivered a great custom-made product to meet our requirements, because they took the time to investigate the demands needed in our field and specified by our company. An online interface was designed to score our outdoor training sessions to ensure validation of our assessment tool.